In early 1995, a graduate student of environmental engineering and chemistry at Johns Hopkins University in Baltimore stepped into the Dominican House of Studies in Washington, D.C. 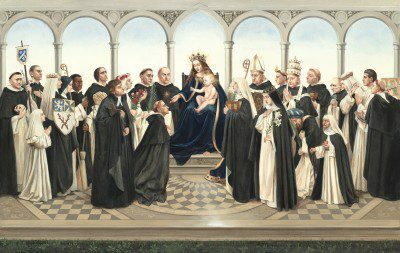 Inside, rosaries dangled from the friars’ ankle-length white tunics, chants filled the chapel, and texts of theology and philosophy lined the library shelves. But amid the sounds and symbols of an order characterized by traditional Catholicism and rigorous study, he also encountered frequent laughter and discussions ranging from bluegrass to baseball. The friars “were eminently human,” while “it was clear they had a strong sense of purpose,” said the now-Dominican priest, Father John Paul Walker. Read the complete Columbia article here.